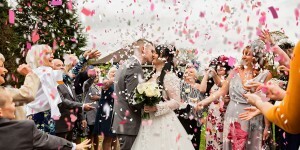 Your FREE Wedding Planner here….PLUS a chance to win a Mini Engagements Session worth £200! Get Organised and Start Planning Your Perfect Wedding! Planning a wedding can be overwhelming, you have so much to think about. Your venue, your theme, which of your bestie will be by your side and of course finding THE dress. I have over 6 years experience behind me in capturing perfect wedding images for clients and over that time I’ve picked up all sorts of hints and tips for making the planning stages stress free. I’ve pulled this together in one handy planner that can print out and keep in your diary. Have fun reading through. I hope it helps you to plan your special day a little easier. The first 5 people to download the planner will win a mini engagement shoot with me 🙂 Why not take a look at what an engagement shoot generally looks like – here is Hannah & Graham’s engagement shoot to view. Download your free wedding planner now! Have you booked any of the following? Venue	 Yes	 No	 If Yes, Who have you booked? Wedding Photographer	 Yes	 No	 If Yes, Who have you booked? Florist	 Yes	 No	 If Yes, Who have you booked? If there is no response within 48hrs, another winner will be chosen. The free shoot will be booked in either January or February, at a location of your choice within 30 minute travel from my postcode. You will receive a 30 minute shoot and one digital image of your choice (emailed).